XB-75 PVC Waterstop has all the qualities of regular PVC waterstop, but in an innovative, smaller profile design. 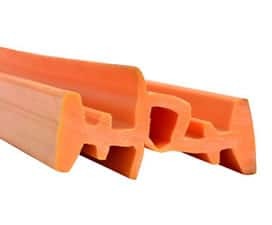 This allows it to be installed to waterstop any joint where traditional PVC waterstop profiles cannot be placed due to interference from reinforcement bars. Can be placed in reinforcement-obscured joints, where traditional PVC waterstop profiles cannot fit.